Debt collectors are supposed to abide by the rules set forth in the Fair Debt Collection Practices Act (FDCPA). Old practices such as harassing you at work, calling you late at night, calling your employer, and threatening you with false information are forbidden. This act applies to third party collectors as well. Some states have imposed similar guidelines to protect consumers from bad collection practices at the hands of loan originators. You can avoid the debt collector by playing cat and mouse, for a while anyway. If you owe a creditor money, that creditor will hunt you down until you are current on your debt. You could leave the country, change your name or even declare yourself legally dead in an effort to avoid the debt collector. Unfortunately, the only way to completely avoid those phone calls and letters is to stay out of debt in the first place. If you’re looking for ways to avoid a debt collector then chances are you’re in financial straits right now. But we have to point out the obvious – do your best to stay out of debt…enough said. Debt collectors get paid a salary plus commission, so using scare tactics on unknowing consumers is worth the risk, if the commission is good. You can stop a debt collector in their tracks, if you know you rights. Get familiar with the FDCPA laws and next time they call, start with that. You have the right of proof. When debt is sold and resold, information gets lost. You can use this knowledge to your advantage. Then put the final touches by asking the debt collector to send you a letter proving the debt belongs to you. All these things are laid out in the Fair Debt Collection Practices Act. This should be enough to get the debt collector off your back for a while. If you don’t want debt collectors calling you, write a cease and desist letter. Being your right, you can stop those annoying calls by sending a certified letter to the collection agencies involved. The credit cards that you have in your wallet are not sources of free money. Instead, they are loans that need to be repaid the same way that your home loan or car loan needs to be repaid. In the event that you were to die with an outstanding balance, your spouse or kids may be forced to pay off the debt. Therefore, make sure that you are able to pay back any credit card debt in a reasonable amount of time. Going into debt to finance a college education, a mortgage or something that you could sell if you could no longer pay for it are all things that you should feel good about going into debt for. If you are looking to buy a home or go to school, look for grants and other credits that will immediately reduce the amount that you owe. It would do you good to know upfront if your creditor is open to potentially negotiating a debt settlement in the future if you need one. A debt settlement allows you to reduce the amount you owe on your debt as well as reduces your interest rate. If you have reason to believe that your creditor would rather take you to court or garnish your wages to collect any balance that you may owe in the future, don’t make a deal with that creditor. 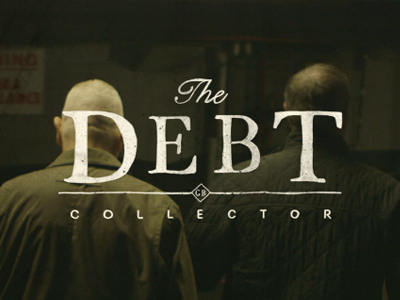 A debt collector is going to follow you for however long it takes to collect a debt that you owe. The best thing to do is to not get deep into debt in the first place. However, if you do need to finance a purchase, make sure that you know how you will repay and if you have any recourse in the event that you can’t afford to make payments in the future. The tactics outlined above will give you relief from debt collectors, but they do have rights too. They can correspond with you by mail, they can take you to court, and they can get approved liens and judgements. Don’t let things get to this extreme, there are other options to handle debt problems – avoiding debt problems to long will only make things worse. Just hearing about the collections horror stories from the news and magazines scares me enough to never let my debt go to collections. I make sure I pay my balance in full each month so that I don’t get get close to collections. Same here! I had a friend who was foreclosed on and the guys the bank sent over weren’t the friendly type.